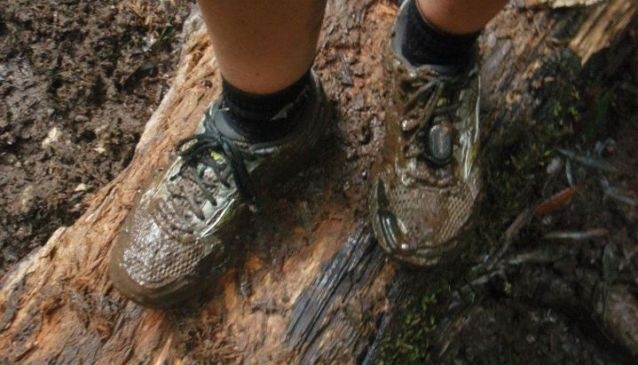 When was the last time you ran through the woods, soaked up the peace and quiet of an early morning,or waded through mud so sticky it threatened to pull your shoes off? I'll wager it was a long time ago, when your Mum told you off for coming home dirty, and your white running shoes were meant to be kept clean. I thought those days of feeling like the world was a giant playground were long gone until a friend of mine asked me if I wanted to go for a night run up at the Aongatete Loop in the Kaimais. Now whilst this seemed like the strangest question I had been asked in a long time, I found myself intrigued by the idea and never one to turn down an adventure I said yes. So with his last bit of advice ringing in my ears, “watch out for the wild pigs”, we headed into the woods and began the most amazing run I have had in a long time. I should add that if I can run on the trails, anyone with a bit of common sense and average fitness can. Besides, I spent so much time looking where I was going, thanks to the lack of light and slippery tree roots, I didn't have time to worry about whether or not I could actually complete the run. When we finally emerged into the moonlit car park at 9.30pm I was amazed to see we had covered over 7kms and been running for almost 2 hours - what a huge sense of achievement. Since that first eerie run up in the hills with nothing but a bouncy headlight to guide the way, I have become passionate about spending my days off running on new trails in the hills, learning to cross rivers and becoming the proud owner of a permanently wet pair of trail running shoes. What is even more interesting is I have found I am not the only one with this strange addiction, locals,tourists and even the elite trail runners from all over the world are coming to the Bay of Plenty in search of muddy tracks to run on. When one of these hardy, committed locals offered me the chance to go to Rotorua and see Anton Krupicka showing Unbreakable, a film about the’ Western States 100’, I jumped at the chance. The Western States is widely considered to be the first ever ultra-trail run and has become a huge event with the world’s best runners fighting to compete. The film itself was being shown under the canopy of the giant Redwoods in Rotorua and the setting couldn’t have been more fitting. The movie was easily one of the most mesmerising films I had seen in a long-time, I simply couldn't believe that Anton or anyone for that fact could run 100 hundred miles in less than 24 hours on steep mountain trails. What surprised me even more was the fact that everywhere I looked were normal, happy,fit people all talking about running on trails in some of the most amazing parts of the world. The Run It soon became clear that if you lived near the Redwoods they are quite simply the best place to run, with marked trails for beginners and plenty of scope for more advanced runners to combine new and old trails into day long epic runs. The Redwoods themselves are actually a magnificent strand of Coastal Californian Redwoods trees located in Whakarewarewa Forest (5700 hectares of mixed forest), a short and easy drive 10 minutes South of the Rotorua city centre. The Whakarewarewa Forest has over 200km of walking tracks, horse riding trails, mountain bike trails and forest roads meaning you could run every day and probably not run the same route twice. For first time visitors, there is an excellent information centre with local trail maps, souvenirs and gifts. The trails in and around the Redwoods themselves are all well marked and free for the public to use. There are 6 sign posted tracks that start at the visitor centre and last from 1/2 an hour to a whole day. These tracks offer the quickest and easiest way to begin exploring the Redwoods. It is essential to take a map with you because even on marked trails it can be easy to get lost. In fact if you have time and want to explore further afield there are a number of local running clubs that use the trails and you can find out more by contacting the visitor centre. Before you head out, make sure you let someone know where you are going, check the weather and pack the right clothing as it’s best to assume you might get stuck somewhere for a while. Then it's just a case of setting off, enjoying the run and keeping an eye out for trail markers. It's a great idea to get a friend to come with you trail running and I generally don't run alone if I can help it. 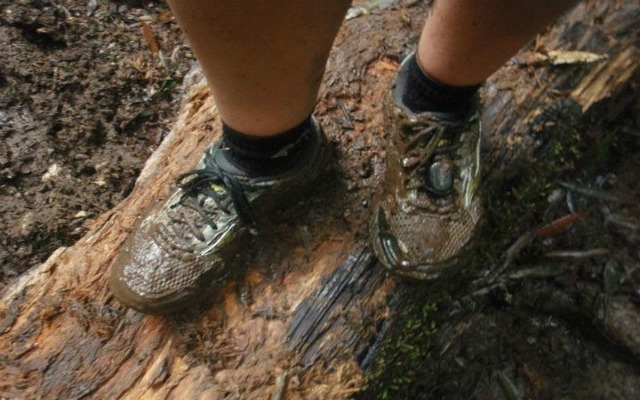 If you are keen to know more about running in the Redwoods have a look at some of the local events such as the Xterra and keep an eye out for the World champion runners that are heading to the area to run in the Vibram Tarawera Ultra marathon in March 2013. Now for any local trail runner, a trip to the Redwoods would not be complete without a visit to one of the excellent cafes in and around Rotorua. The Fat Dog cafe is my destination of choice and a Mecca for Mountain bikers and runners alike. This quirky little cafe, with a vibrant atmosphere is located on 1159 Arawa Street in Rotorua city centre and has a unique style of decoration that you have to see to believe. With great dishes from chilli beef nachos to satay chicken salad, vegetable pannis to hot chocolate puddings there is definitely something for everyone. And what's even better, no matter how busy this little cafe gets they never rush your meal so you can spend a couple of hours watching the world go by,drinking great coffee and feeling pretty great. 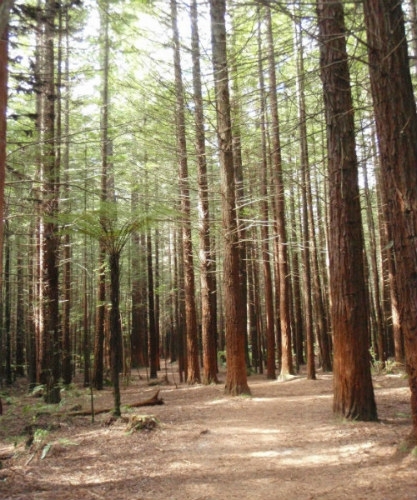 So if you want to live like a local in the Bay of Plenty, all you need to do is head out to the Redwoods for a walk or run before heading to the Fat Dog for a treat. 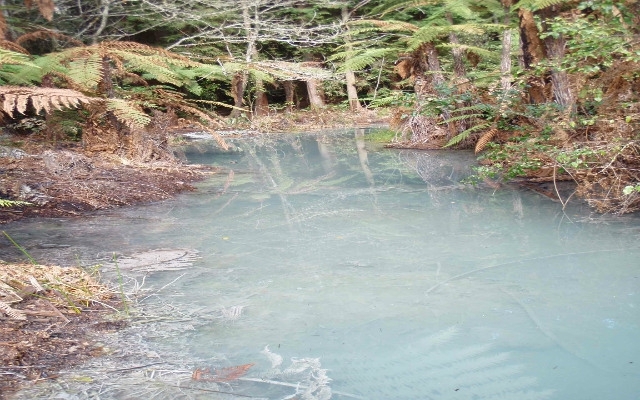 You can then say you’ve experienced Rotorua like a local! Our guide to the top 10 best views in Rotorua not be missed when visiting New Zealand's geothermal wonderland. With plenty of attractions within easy distance of the centre, Rotorua is a great choice for a family holiday, even if you only have a few days to spend.